A book dedicated to the Battle of Lincoln that marked a turning point in the Wars of Anarchy during the reign of King Stephen in the 12th century. A civil war between King Stephen and his rival Empress Matilda broke out in 1136. By 1141 England had fallen in to anarchy with nobles using the unrest to pursue local feuds, slaughter rivals and pillage each other’s land. 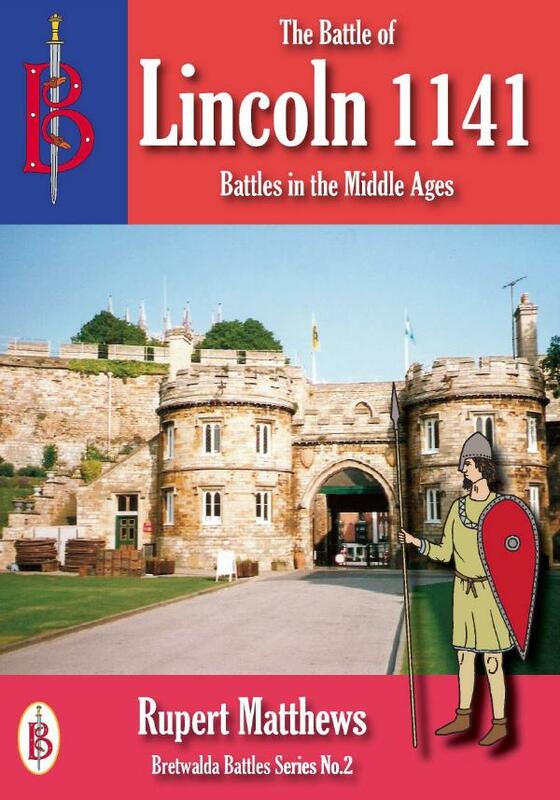 In 1141 Stephen moved to capture Lincoln Castle and put down one such recalcitrant nobleman. While there he was surprised and attacked by a larger army loyal to Matilda. The ensuing battle was complex and confused, but it ended with Stephen utterly defeated - for now. The reasons for and course of the war in question are outlined, then detailed analyses of weapons, tactics and strategies are given with particular reference to this battle. The course of the battle is then followed, short biographies of the commanders are also given. The aftermath of the battle, its effects and importance to the progress of the war are then described. The “Bretwalda Battles” series has been running with increasing success as ebooks for some time. Now the first books in the series are being published in print format.